Today in Japan 25 years ago, Nintendo gave the world one of its most influential creations: Super Metroid. Highly regarded by fans, constantly imitated by game developers, Super Metroid has even been called the greatest game of all time. To commemorate the anniversary of this landmark work, I recently stepped back to consider the entirety of the Metroid franchise and rank the games from worst to best. Sure, Super Metroid was the high point of the series back in 1994 — but there have been nearly a dozen otherMetroid games since then. Does it still hold that vaunted title? And if not, which Metroid adventure has dethroned it? Read on. Scraping the dead-last barrel-bottom of theMetroid franchise, we have the massively disappointing Metroid: Other M. It’s not actually a bad game, but it’s a devastatingly awful excuse for aMetroid sequel. Had Nintendo shipped this under an unrelated title (something like … “Robo-Lady’s Surly Shooting Adventure in Space”), it would have been fine. But as an attempt to revitalize a beloved franchise, it demonstrated a shocking failure to capture what actually draws fans to the series. Other M transforms Metroid into a highly linear, fast-paced shooter with few opportunities for real exploration, no sense of freedom, and a painfully contrived character progression gimmick. There’s no looking to the plotline to redeem the game, either. As an action game built around quick reflexes and evasion, the game has its charms, yet the story is irredeemable. It casually reduces heroine Samus Aran from the stoic, hyper-competent warrior fans love to a bratty, timid girl-child. Other M turned out to be such a massive misfire and a flop with fans that it practically killed the series: Nintendo’s only Metroid output in the decade since has been a single spinoff and a lone remake. Once upon a time, video game systems shipped with games packed in. Nintendo DS did not. Instead, it shipped with a tiny demo of a Metroid game that wouldn’t arrive for another year and a half. 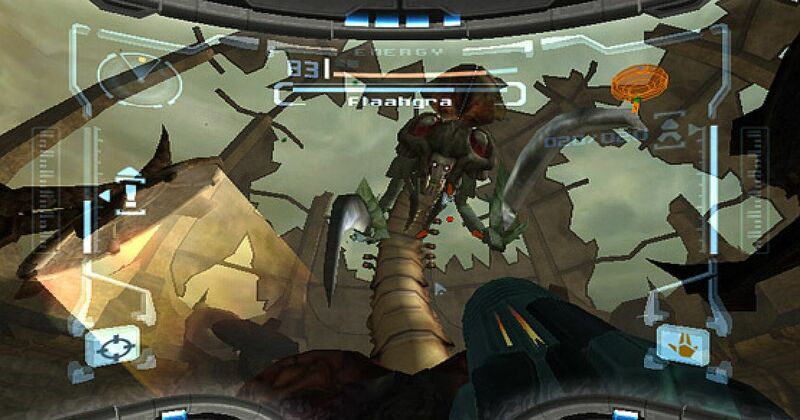 A pared-down version of Metroid Prime Hunters, First Hunt consists of three tiny, bite-sized scenarios set in environments drawn from the final game. It’s a tutorial-teaser for Hunters rather than an actual game in its own right. It’s decent enough, but there’s almost no substance to it. 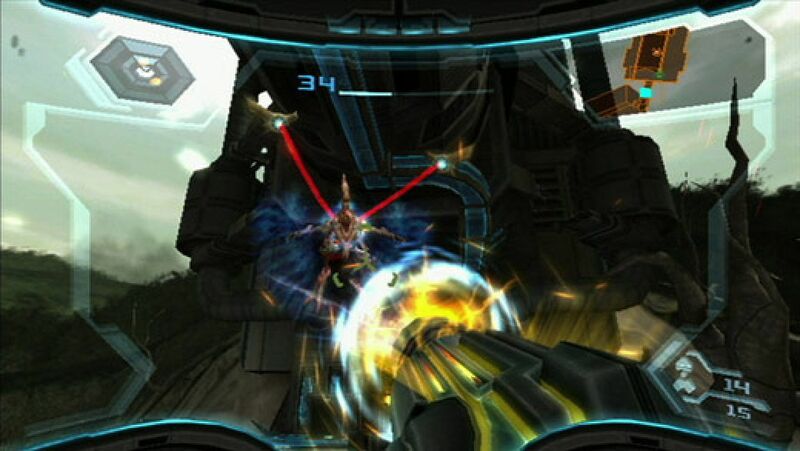 Nintendo made a big deal about Metroid Prime not being a “first-person shooter.” This was partially to assuage the fears of fans who assumed the series was going to transforms into a mindless run-and-gun game, and partially because, well, Prime actually didn’t focus much on shooting. Hunters, on the other hand, was precisely the kind of game that everyone expected the Prime titles to be before they played them. 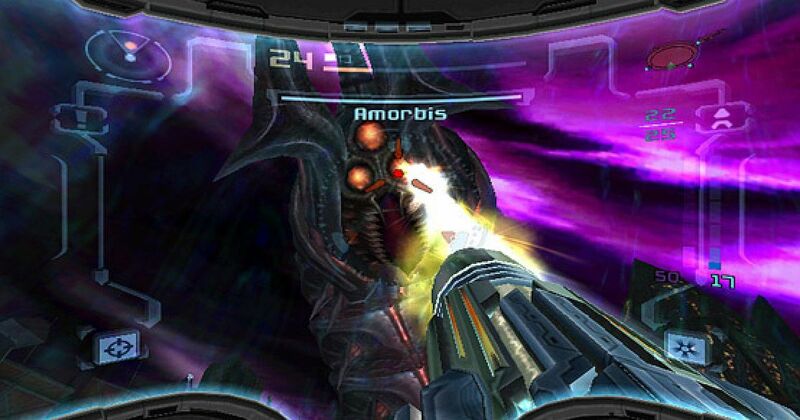 Players take control of Samus in a single-player campaign or play as one of several different bounty hunters in a head-to-head competitive mode, running around claustrophobic alien environments and attempting to gun down as many other rivals as possible. It’s fine for what it is. 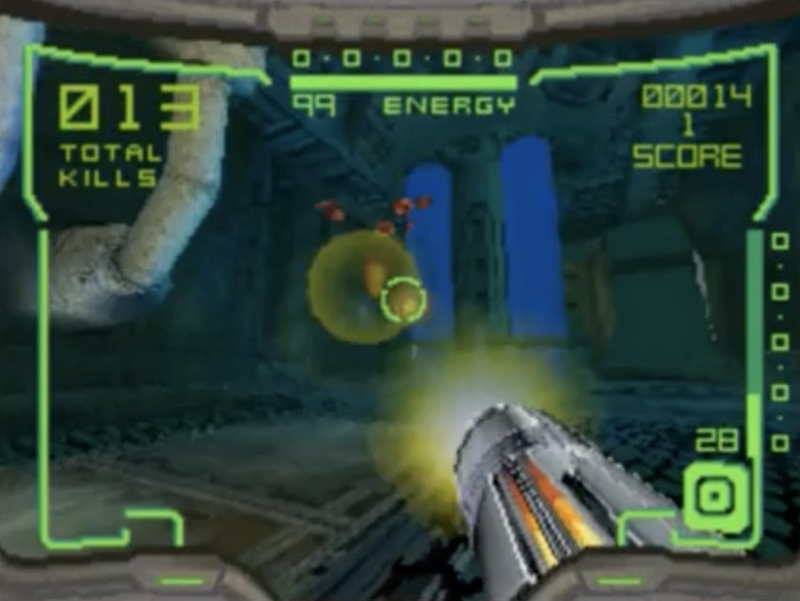 However, “what it is” turned out to be a generic multiplayer shooter wearing Metroid clothing, running on a woefully underpowered handheld system, centered around the use of a clumsy virtual touch-screen control pad. Hunters is basically a smartphone spinoff that shipped several years before such things even existed. Points for prescience, then, but none for giving players a proper, classic Metroid game for DS. Much like Metroid: Other M, Federation Force represents above all else a tremendous failure by Nintendo to read the proverbial room. Metroid fans were desperate for a new game in 2016, having gone six years without a follow-up to rectify the wrongs of Other M. But Federation Force absolutely wasn’t that redeemer. Rather than further the tale of Samus Aran in a sprawling solo adventure, it instead centered on a team of generic space marines in a mission-based multiplayer shooter … on 3DS, of all systems. It also has a somewhat goofy visual style that speaks to a younger audience than the hardened veterans who love Metroid most. Nintendo presumably hoped to draw in a younger audience, but the end result was a game that spoke to no one. Yet weird and misguided as its basic pretext for existence may be, Federation Force isn’t bad! It looks great considering the platform, and it offers a variety of mission objectives along with some excellent first-person team-based combat. Its biggest shortcomings come from the fact that its difficulty and design don’t scale based on the number of active players, and from that its big end-game twist revolves around an extraordinarily dopey plot development involving Samus. Flawed but fun, Federation Force feels like it could have led to better things if Nintendo had targeted it a bit more carefully. Samus’ second outing in 3D abandons much of the cohesion and sense of purpose that drove its predecessor. The original Prime suffered from what were ultimately fairly forgivable issues, but Echoes exacerbated all of those issues and threw in problems of its own making on top. Echoes revolves around a duality-based gimmick that might work on paper but falls flat in practice. Here, players have to navigate a world divided into dark and light zones, a concept that defines every last inch of the game. Venturing into the dark world drains Samus’ energy, and certain creatures within each realm can only be destroyed with specific expendable ammunition. Things do become less punishing toward the end of the game, as Samus finds tools to help mitigate the effects of shifting universes, but the journey to reaching that point is so exhausting most players never get there. It doesn’t help that Echoes is probably the single most challenging Metroid game ever made even without the reality-shifting elements, with some of the trickiest bosses in the entire franchise to conquer. Taxing, tiring, and tedious throughout most of its running length, Echoes is one of those sequels that demonstrates the “difficult second album” phenomenon in action. Samus Aran’s only outing on Nintendo DS besides Hunters and First Hunt turned out to be even less of a traditional Metroid game than those two. In fact, it was so far removed from the platonic ideal of “Metroid” that it stands up a lot better to scrutiny. 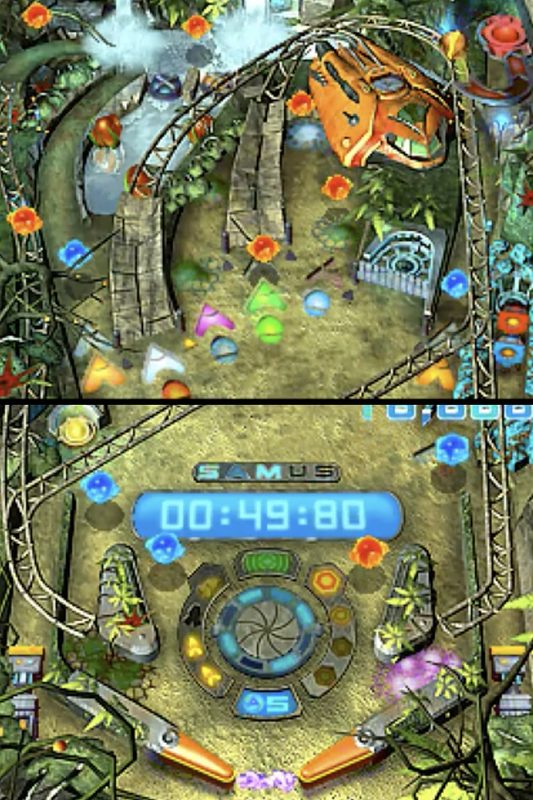 Metroid Prime Pinball continues a long-running tradition of Nintendo franchises spinning off into handheld pinball sims, which have ranged from brilliant (Pokémon Pinball) to weirdly disappointing (Mario Pinball Land). Prime Pinball a pretty fun take on the venerable arcade pastime, and it even almost kind of makes sense within the context of Metroid; after all, one of Samus’s trademark powers is the ability to duck into a “morph ball” form and roll around, right? 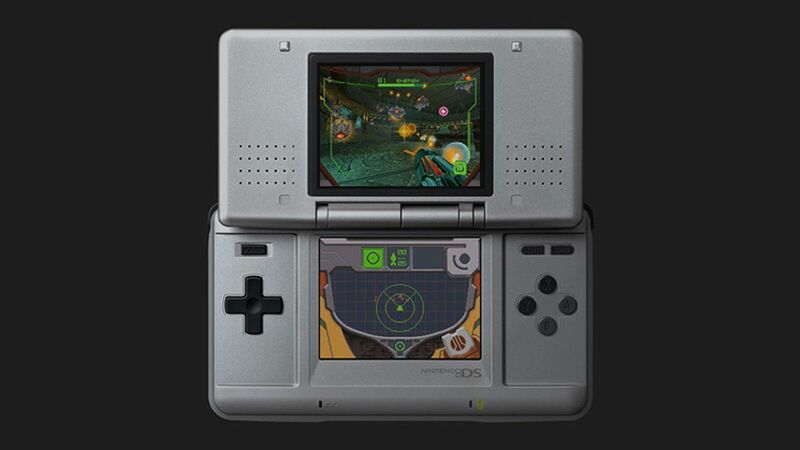 Metroid Prime Pinball makes great use of the Nintendo DS, too, as the system’s evenly sized dual screens allow players to enjoy playing on a full vertical table without the need to scroll or flip between screens. The game does have a fairly ugly look to it, lacking the trademark luminosity and vivid colors that made the Prime games so delightful to play, but it incorporate the motifs and themes of Metroid Prime effectively all the way down to the inevitable pinball-based boss fights. An odd excursion, but an enjoyable one. Metroid’s first sequel immediately took the series in an unexpected direction: Onto a handheld platform with less horsepower than the system that hosted the original. Still, no one knew the Game Boy’s strengths and weaknesses like Nintendo’s R&D1 division — the creators of both the Metroid series and the Game Boy hardware — so the pairing turned out to be a forward step for Samus Aran regardless. 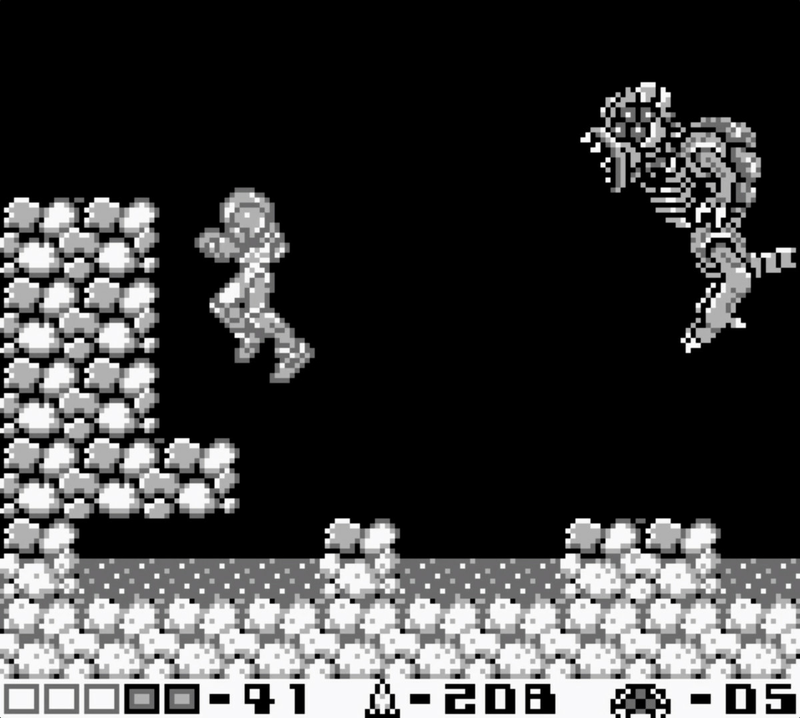 Metroid II did a great deal to flesh out the series’ universe, exploring the origins and evolution of the eponymous space monsters, and its minimalist narrative set the stage for the magnificent Super Metroid. That said, Return of Samus does suffer from a few notable issues. Samus looks great, but she’s huge on the tiny Game Boy screen, and the chunky proportions of the graphics crowd the action and hamper exploration. Planet SR-388 also isn’t nearly as thoughtfully structured as other settings that have appeared throughout the Metroid franchise, and the monochrome graphics make the corridors both confusing and repetitive. It’s a remarkable feat of a Game Boy game, but it nevertheless stands as the weakest of the core Metroidtitles. The finale of the initial Metroid Primetrilogy wrapped on a slightly less frustrating note than Echoes. 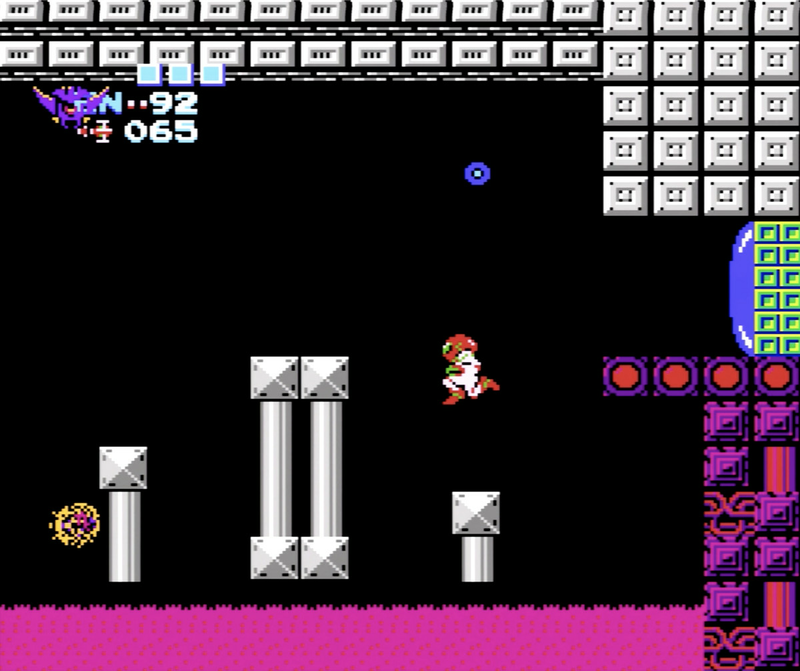 Corruption took a dramatically different approach to the classicMetroid structure, breaking Samus’ adventure into a series of discrete environments spread across multiple planets — similar to Fusion’s standalone space station sectors, but without that game’s opportunities for unexpected intersections and the satisfying discovery of secret passageways connecting the different areas. Corruption’s approach mostly works, though spreading the quest across so many disparate settings does strain the plausibility of the numerous navigation puzzles. Thankfully, Corruption manages to maintain a brisk enough pace that you rarely have time to sit down and contemplate its more inane moments. Samus finds herself constantly racing against (and often battling) some of her rival bounty hunters and even teaming up with the Galactic Federation to deal with a steady stream of sci-fi threats. It’s the franchise’s first proper attempt to combine the trademark Metroid style with the fast-paced action of other sci-fi shooter franchises, and the effort pans out a lot better here than it does a few years later in Other M.
At launch, the original Metroid was Nintendo’s biggest, boldest take on the newly-forged platform shooter genre. By modern standards, it’s far from a perfect experience. But it nevertheless holds up to the ravages of time thanks to the enormous care with which its tiny team constructed the whole thing. Certainly Metroid suffers from opaque objectives and critical paths that tend to be hidden a little too efficiently within its secretive walls and floors. The limited visuals and stark backgrounds can make it tough to keep track of Samus’s precise whereabouts at any given time. You need to spend a little too much grinding on enemies to top off Samus’ health. The fussy password system turns the process of recording data into a grade school handwriting text. Minor frustrations abound here. To balance out these complaints, the original Metroid presents you with a sprawling, open-ended world and the incredible abilities you need to conquer it. Here we see one of Nintendo’s greatest achievements: Samus’ tools double as weapons, so that as she grows more powerful she also gains the ability to traverse more of the world. This creates a brilliant, addictive gameplay loop. Oh, and the big plot twist at the end, the one where legendary top-tier armored bounty hunter Samus Aran turns out to be a lady? That holds up pretty well these days, too. The second remake in the Metroid line, this one for a game that genuinely needed revisiting to bring it more into line with the series’ standards and vision. Samus Returns reworks Metroid II into a post-Metroid Fusion adventure, maintaining the original game’s plotline, the general layout of SR-388, and the need to face off against rapidly evolving metroids on their turf. But the overall flow of the adventure is radically changed here, with repetitive caverns taking on a denser, more puzzle-oriented feel with an emphasis on acquiring weapons and gear in order to delve deeper into the planet. Likewise, the formerly monotonous metroid battles now play out as challenging, tactical battles emphasizing counterattacks and evasion — something that even carries over into basic play. While this is undoubtedly a more involved game than the original, it errs on the side of over-complicating things. 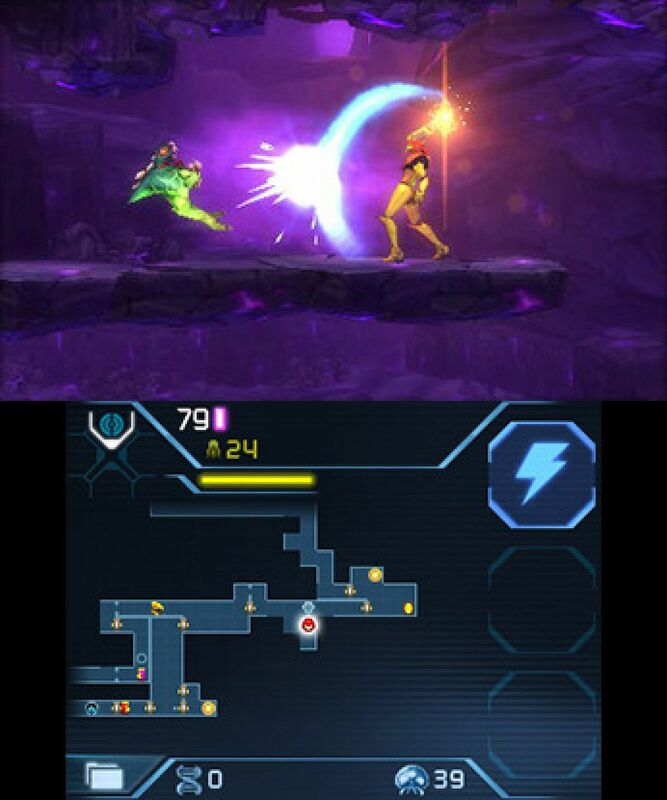 Unlike the best Metroid entries, Samus Returns is all complex corridor-crawling and monster-battling, and its reliance on counterattack-based combat renders our heroine strangely passive while bogging down the action as you wait for enemies to strike first so you can parry them. There’s never an opportunity to breathe easy, and the rhythm of the game fails to convey a sensation that Samus has grown powerful only to move along to face even greater threats. It’s a good and interesting take on a flawed Game Boy creation, but it introduces its own vexing quirks in the process of bringing things up to code. Metroid Fusion was the first of several entries in the series to experiment with the concept of taking away Samus’ incredible powers and putting her on the defensive, and it’s still the best take on that idea to date. It’s also a deeply divisive game as a result, as it strips away the freedom and sense of discovery that defined the first three chapters of the series. But that’s the whole point of Fusion: It begins by disempowering Samus, forcing her to take orders from a computer that locks her into restrictive spaces, all to emphasize the importance of the freedom she eventually gains once she breaks out of the boundaries of the space station in which the action is set. Further emphasizing Samus’ reduced state here is a literal X factor that roams the station: SA-X, a copy of Samus borne from a mysterious sentient virus codenamed X. SA-X serves as a constant deadly reminder of how unstoppable Samus used to be and how fragile she’s become. Throughout most of the game, Samus is forced to flee meekly whenever she encounters SA-X, a force even more overwhelming than the massive bosses you face throughout the station. Yet choking back your pride to escape these encounters simply makes the endgame all the more satisfying — you restore Samus’ true strength over the course of her quest, ultimately facing off against and defeating her clone in the game’s climactic battle. On top of that, Fusion streamlines Super Metroid’s sometimes inelegant control scheme to work within the GBA’s limits, adds all-new abilities to Samus’ repertoire, and allows players a glimpse of her inner monologue without diminishing her the way Other M does. It’s a clever (and frequently misunderstood) classic. Released day-and-date with Fusion, Metroid Prime innovated in the other direction from its counterpart. 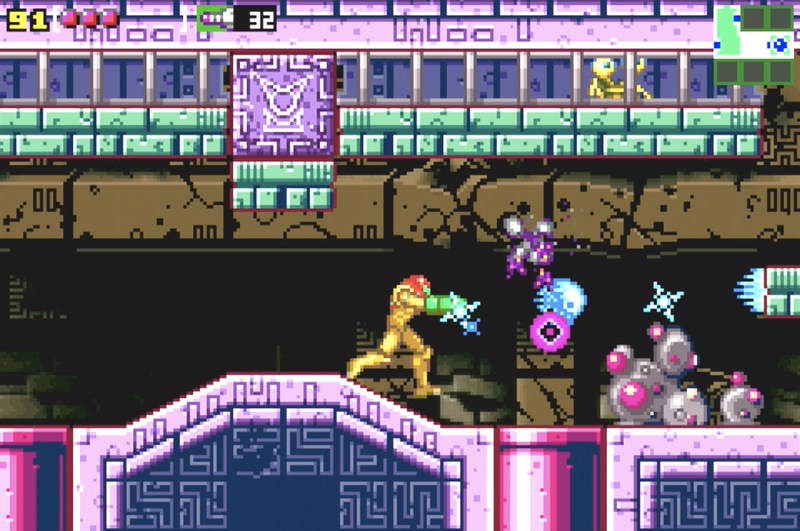 Where Fusion used old-fashioned 2D graphics and mechanics to present an entirely different kind of Metroid adventure, Prime used tried-and-true gameplay as a foundation for a technological shift. Just as The Legend of Zelda: Ocarina of Time is a thinly veiled reworking of its predecessor A Link to the Past, Metroid Prime traces the the outlines of Super Metroid to ensure the series’ move into 3D is supported by impeccable underpinnings. And it works — in fact, Prime is at its worst when it strays too far from the Super Metroid formula, as with the pace-killing drudgery of the late-game Relic fetch quest. 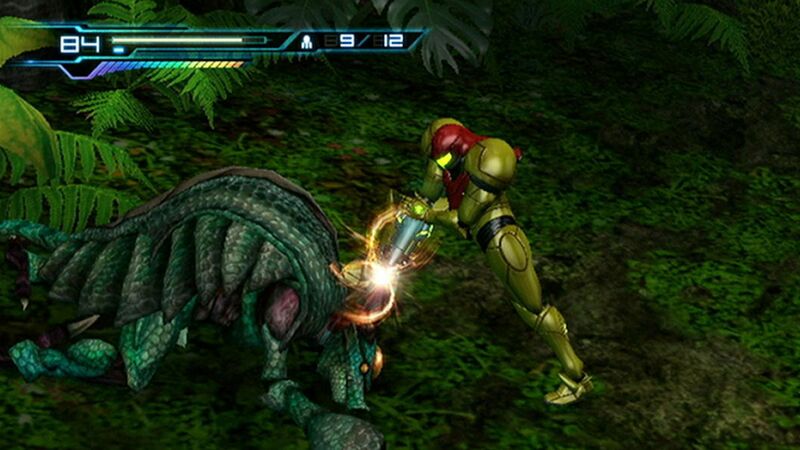 Most importantly, developer Retro Studios managed to avoid allowing Metroid’s move into first-person action from reducing the game to a twitchy shooter, respecting the series’ cerebral nature from start to finish. While there’s plenty of shooting to be done here, it’s hardly, say, Quake or Unreal (thanks to the game’s reliance on an automatic lock-on feature). In fact, Prime probably has the lowest ratio of combat to navigation and exploration in the entire series. Meanwhile, the brilliant Scan Visor feature plays an essential role in battle (seeking out enemy weaknesses) while also allowing players to drink in all manner of world-building details — and what a world it is! 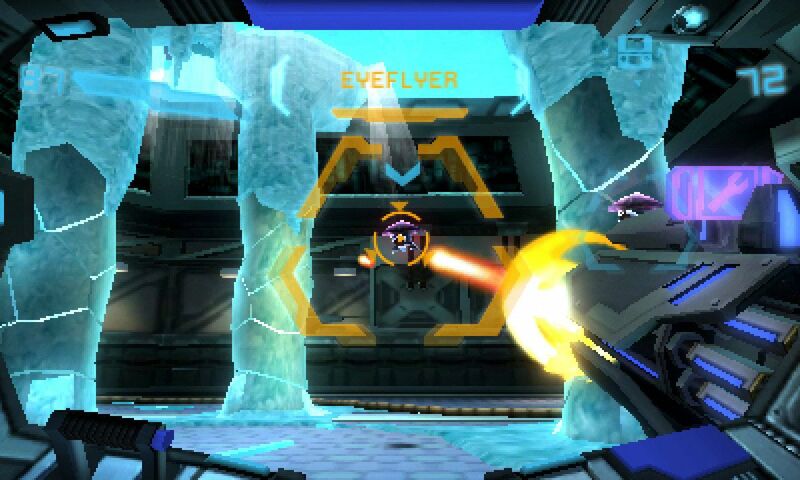 Metroid Prime is one of the rare early ’00s 3D games that still looks gorgeous thanks to its sleek design and vivid use of color. Oh, and all the loving details it contains, like being able to glimpse Samus’ reflection on the inside of her visor whenever lightning flashes. Metroid seemingly shouldn’t have worked as a first-person shooter, but Prime pulled it off, and it remains a high-water mark for the format. In may respects, Zero Mission is the strongest, smartest, and sharpest of all the Metroid games. All it really has working against it is a lack of originality. As a remake of the original Metroid, Zero Mission covers a lot of the same ground that Super Metroid had already cased out so expertly a decade before. It expands on the NES game’s labyrinths in ways that feel familiar and ends with an unusual stealth sequence that demystifies the enigmatic Wrecked Ship area of Super Metroid. It also has a strange art style as a result of a mid-development creative shift that changed the overall look from cartoonish to traditional but didn’t bring all the existing background scenery into line with the new style. Aside from these small annoyances, however, you’d be hard-pressed to find fault in Zero Mission. Its dev team took meticulous notes about all the things that didn’t quite work in previous entries ranging from the original game all the way through Fusion and Prime. 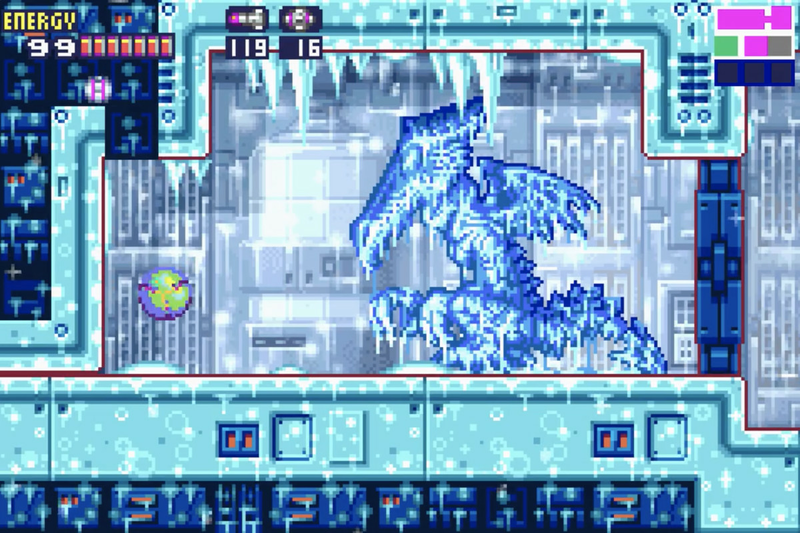 Really, you could probably best describe Zero Mission as a hybrid of Super Metroid and Fusion (despite the fact that it’s a remake of a different game altogether); it maintains the zippy pace and streamlined control scheme of Fusion, but it does a much better job of stepping out of the player’s way and letting them figure out how to progress. Zero Mission points out new objectives on the in-game map, but more often than not you’ll find yourself taking circuitous routes through uncharted territory to get there. Much of this involves an all-new region called Chozodia, which provides much of the game’s mystery and introduces enigmatic tidbits about Samus’ background in the process. Zero Mission gives Samus a fully updated arsenal, including Power Bombs and a ledge grip skill. It reinvents the original Metroid’s lackluster boss encounters, introduces new foes, and provides far greater incentive for full exploration of the world. Familiar scenery takes on a new flavor when reworked to include complex navigation puzzles. Even that stealth sequence manages not to be dead weight by properly presenting the epilogue as a key moment in Samus’ own personal journey. It’s a gold standard for video game remakes even 15 years later. One of the high-water marks of the 16-bit era, Super Metroid introduced players to a near-perfect synthesis of game mechanics, world design, and embedded narrative. Loosely built on the bones of the original Metroid, Super Metroid sent players back to the tunnels and tubes of planet Zebes. This return trip was no mere rehash, however. While the overall arrangement of Super Metroid’s underground labyrinth closely resembles the broad strokes of its NES predecessor, here that environment been both fleshed out and greatly expanded. Hidden passages and navigational puzzles play an even bigger part of Samus’ quest, but now they’re less obtuse in nature thanks to the addition of new quality-of-life elements, like a visor that can scan for secrets and an in-game auto-mapping feature. The world of Zebes teems with detail, hinting at a much larger story but leaving details of its mysteries — things like the ghostly image of metroids on the monitors of the wrecked ship, or the dead explorer outside of Kraid’s lair — to the player’s imagination. Unexpected secrets abound, ranging from clever shortcuts the developers hid in plain sight to oblique alternate mechanisms to defeat bosses. Meanwhile, the primary throughline of the quest tells a surprisingly moving story that follows immediately on the heels of Metroid II and unfolds entirely in pantomime. Samus’ journey builds her into a near-invincible engine of destruction, pushes her to the edge of defeat regardless of that power, and ends with a brilliant catharsis of sheer destruction. The flow and design of Super Metroid vary from area to area, from the leisurely underwater exploration that defines Maridia to the intense, oppressive action that propels Samus through the straightforward loop of Ridley’s lair. 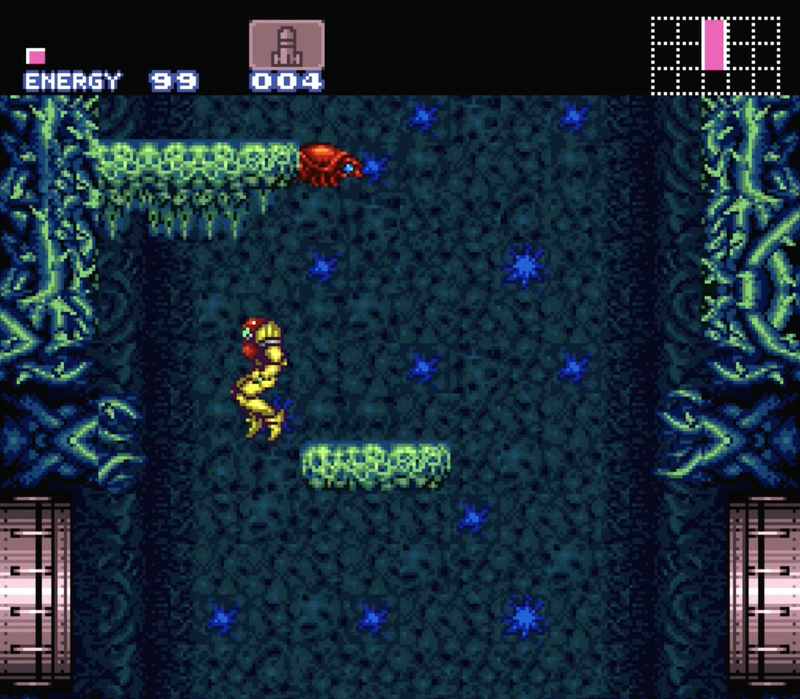 Super Metroid is one of those rare games that doesn’t take a single false step, and its failings ultimately boil down to a matter of taste: Samus’ floaty aerial physics, the precision required for wall-jumping, the way the game occasionally leaves players to their own devices in order to find the way forward. Dozens and dozens of games have looked to Super Metroid for design inspiration, but Nintendo’s masterpiece remains unrivaled.